What comes to mind when you picture a farmer? In the US, there’s a common children’s song that goes something like..Old McDonald had a farm..and then proceeds to sing on about animals and the noises they make. Thinking about that song now, it will be stuck in my head for at least the next week. But this song is relevant because not all farmers are like “old McDonald”, in fact most farmers are nothing like this fictional old man in overalls at all. You know what song is more fitting? Run the World(Girls) and I’m not just saying this because Beyoncé will be one of the headliners for the 2015 Global Citizen Festival. (Which is awesome!) It’s because most small farms in the world are run by women. The exact data on women in agriculture is difficult to pin down. There are variations between countries and agriculture data is challenging to collect. What is clear however, is that most small scale farmers are women and more women in developing countries are joining the labor force in the agricultural sector. Women make up 60-80 percent of farmers in non-industrialized countries. 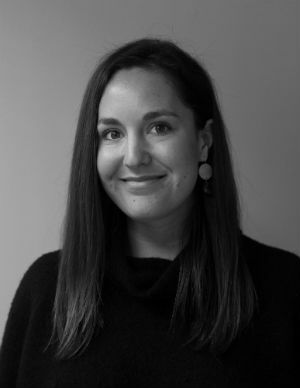 The FAO (Food and Agriculture Organization of the UN) estimates that between 43 percent to even 70 percent of agricultural labor in some countries comes from women. But women still don’t have the same rights as men when it comes to farming, making food production harder for women because of gender inequality. Female farmers are challenged with three major obstacles to food production. Purchasing land, farming equipment and hiring labor can be expensive. These costs are even harder on women because of many lack access to credit. In nearly 48 economies women face legal restrictions to having control of their own finances. Getting to the bank is hard too. Mobility for women in rural parts of developing countries is a big concern. Transportation and infrastructure can help make access to credit more feasible for women. Credit and finance should be equal for everyone, especially women who are held back by gender constraints. Sadly, women may run the world, but they do not own it. Access for women to own land in many countries is very difficult. Traditional customs in place can pass down land through the male side of the family, leaving women out of land rights completely. Other times, women need permission from a male relative or husband to own land. 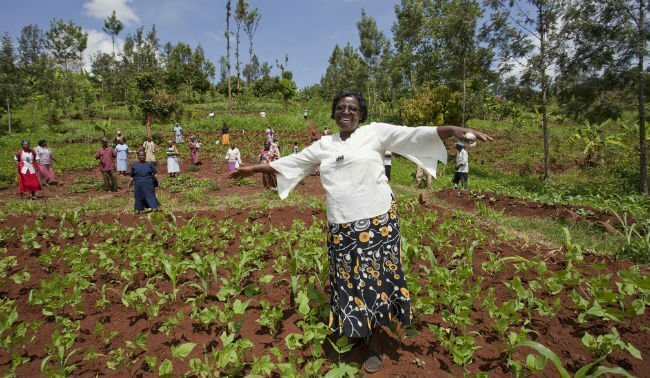 Only 2 percent of landholders worldwide are women. Women are not as productive farmers as men and work longer hours in some countries like Indonesia. This is largely due to a lack of education. When education is considered more valuable for men (and thus mainly given to men), women farmers are less informed about the best production methods leading to less ability to hire skilled labor. Thus producing less yield in crops and becoming “less productive”. This can all be changed through providing education for women. Eliminating gender inequality can help feed 130 million people who are currently undernourished. 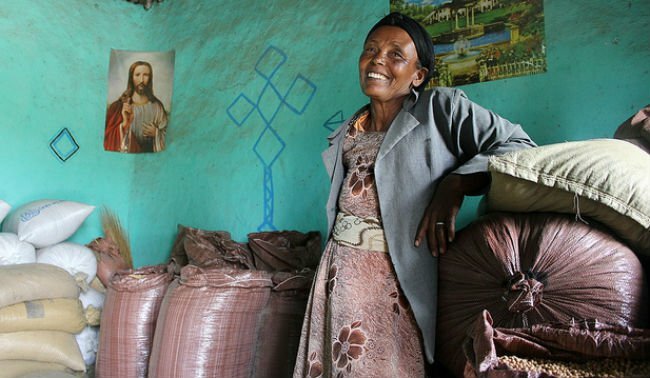 A woman in Ethiopia has a two-hectare chickpea farm makes her feel more empowered. Despite these barriers women are definitely not leaving the “field”. In countries experiencing urban growth men are migrating to urban areas for other jobs while women stay in rural areas, taking on jobs in farming and agriculture. Places where women were previously excluded from the labor force, income from farming can be a source of empowerment. Plus, healthier children, education, and investment into the community are all benefits that female farmers are shown to have on their communities. Let’s close the gender gap and give women the tools they need to succeed. If women farmers in developing countries have the same rights and opportunities they will be just as productive. With increasing population, and the need for better food security, supporting women in agriculture is something that cannot afford not to be invested in. Get the G20 to support the economic empowerment of girls and women by signing the petition in TAKE ACTION NOW.